If you’re looking to set up your custom domain for Blogger.com, here’s some guidance on how you can proceed with getting it set up. The details in this below will vary for you of course (e.g. the xyzxyz name/host details), but the links shared by Google Blogger.com will be helpful for you. As Blogger.com has some pretty good online guides to help you with your set up. See our detailed instructions on providing CNAMEs for various registrars or see the full settings instructions for more details. If you are having trouble with entering the second CNAME to dv.googlehosted.com, you can verify your ownership of this domain with a TXT record through Google Search Consolehere instead. 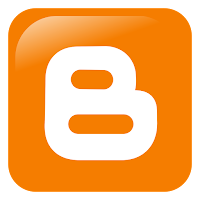 Enter the domain your blog will be hosted at. If you specify a missing files host, Blogger will look there if it cannot find a specified file on your regular domain. Learn more. I can give you an update on this process, as I have been setting this up for this blog. After adding in the details here and giving my name registrar a few hours to update (“DNS resolving”, “DNS needs time to resolve” is the technical phrase for this). I was later able to log back into Blogger.com and update my settings so that my domain name could be updated. You will now see www.dejavuguides.com as my website URL, rather than dejavuguides.com.